Barbados, Feb 21: Chris Gayle surpassed Shahid Afridi to record most number of sixes by any batsman in international cricket. The veteran Windies batsman achieved this feat while playing against England in the first One-Day International (ODI) at the Kensington Oval on Wednesday. Chris Gayle, who recently announced that he will retire from ODIs after ICC World Cup 2019, now has 477 sixes to his name. He achieved this feat in his 444th match while Afridi had smashed 476 sixes from 524 matches. Chris Gayle has now smashed 276 sixes in ODIs, 103 sixes in T20Is and 98 maximums in the longest format of the game. Brendon Mccullum is third in the list with 398 hits over the fence, followed by Sanath Jayasuriya (352) and Rohit Sharma (349). 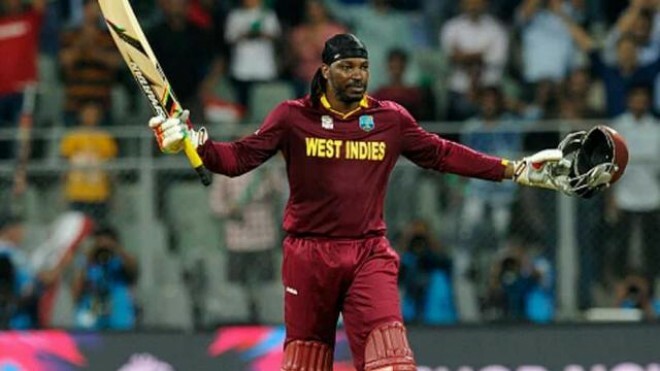 Earlier this month, the 39-year-old veteran batsman had been recalled by the Windies for the first two ODIs against England in preparation for this year's World Cup. Chris Gayle last played for the Windies during a home series against Bangladesh last July. The big-hitting left-hander had pulled out of limited-overs series against India in October last year citing personal reasons. Gayle holds the West Indian record for most ODI hundreds with 23 and is their second-leading run-scorer in the 50-over format with 9,727 runs -- trailing only Brian Lara (10,405).